The tide is shifting. The debate over global warming has moved from theoretical to practical. As in, what is the cost of climate change to businesses and, eventually, to all of us? Real estate agents find themselves at the heart of the issue. Anything that affects property values affects their livelihood. So it’s encouraging to see a call to action from one of their own. Craig Foley, chair of the National Association of Realtors’ Sustainability Advisory Group, says that ignoring the impact of climate change on real estate has serious business implications. “Particularly in coastal areas, members have told me both they and their clients are worried about declining property values and buyer interest.” The piece, entitled “We Don’t Have 50 Years to Wait,” appears in the March/April 2019 issue of Realtor magazine. 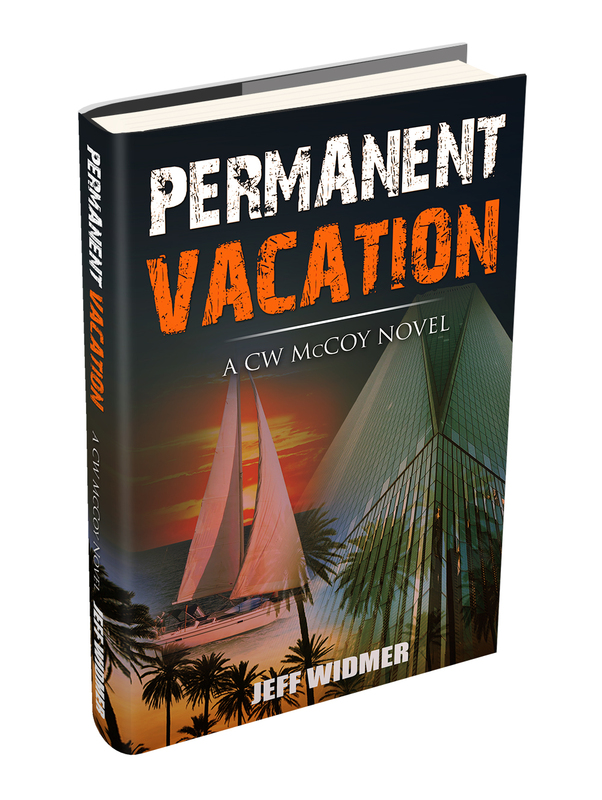 That captures a core issue of Permanent Vacation, a novel in which the protagonist, real estate agent CW (Candace) McCoy, discovers that encouraging construction in a flood zone is a sure way to sink a career. You can read Foley’s commentary here. If you buy or sell real estate and have a comment on this or any other issue, you’re welcome leave it here as well. Sometimes reality catches up with fiction. Yesterday, a Florida Senate committee advanced legislation that would require the state to plan for rising seas. The action comes after storm surge has repeatedly flooded parts of Miami and threatened its infrastructure. The proposed legislation is unique in that it avoids the politically divisive issue of climate change and addresses the economic aspect of rising sea levels. Lawmakers aren’t alone in considering the financial impact of coastal development. The economics, and ethics, of building in flood zones form the central premise of Permanent Vacation, a novel set in a fictionalized version of Sarasota and Bradenton, Florida, both of which border the Gulf of Mexico. Central to that issue is whether governments should encourage or discourage behavior that puts people and property at risk. Permanent Vacation is available from Amazon, Apple Books, Barnes & Noble, Kobo and Smashwords. You can read the story about Florida lawmakers here. John Philip Sousa III (1913-1991) did not follow in the footsteps of his grandfather, but those who met him discovered a spirit as creative as the famous march king. 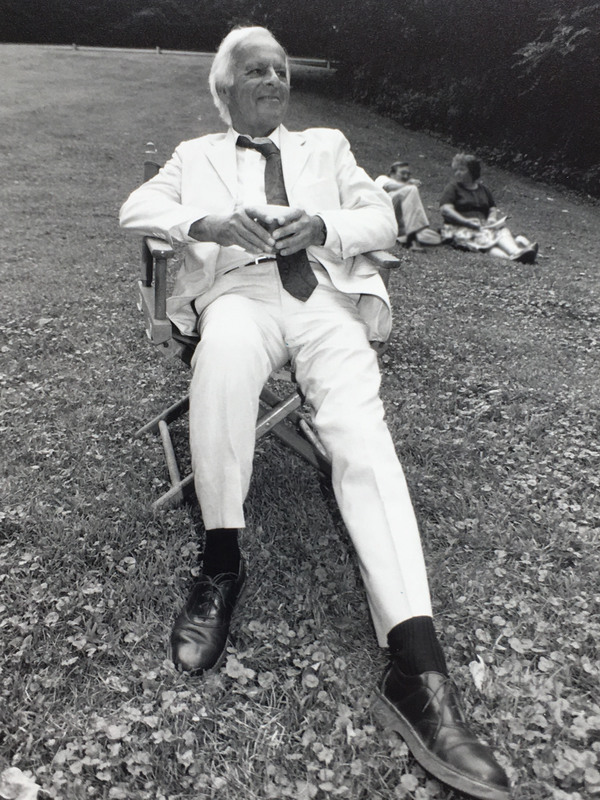 I interviewed Sousa the younger in the summer of 1987, when he visited Delaware Water Gap, Pennsylvania, for a concert in honor of the man who wrote what many consider to be America’s second national anthem. John Philip Sousa III marches to the beat of a different drummer than his famous grandfather. It isn’t that the New York City resident doesn’t thrill to the stirring marches of his illustrious forbearer. It’s just that he’s more inclined toward the written word. The New York resident is the author of two books, both nonfiction, of which one was a bestseller. He was assistant publisher of Fortune and formerly head of public affairs for Time magazine and in charge of long-range development for the Time-Life Book Division. He is also head of the Sousa Foundation, which controls the rights to his grandfather’s work, although he admits that, when he was young, he wasn’t aware of the music. As a youth, Sousa may not have been familiar with the music, but he has fond memories of his paternal ancestor. Although Sousa has heard the marches hundreds of times and is used to the fireworks and fanfare, he still marvels at the reception with which audiences greet his grandfather’s music. Does he see a resurgence in Sousa’s popularity together with heightened interest in patriotism? Sousa saves his sentiment for other things. He will not divulge his age. He will not even discuss it. Once, when he bought a ticket on the Long Island Railroad, the ticket agent asked if Sousa was over 65 and eligible for the discount rate. “I asked for a ticket, not a discussion of my age,” Sousa fired back. 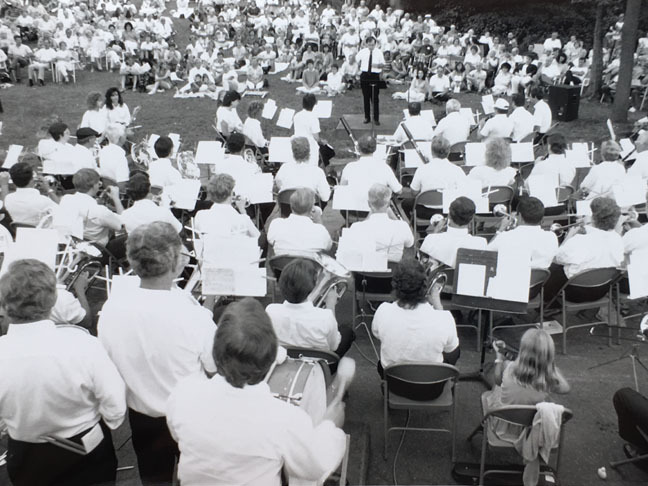 Pat Dorian directs the band on Aug. 20, 1987, 75 years to the day when John Philip Sousa conducted a similar concert on that spot in Delaware Water Gap, Pa. The National Association of Realtors has been at the forefront of promoting agent safety. The organization’s Realtor Safety Program website offers several resources for agents as well as background on why a personal safety plan is important. It also provides a context for buyers and sellers who may see some of these precautions as inconvenient or unnecessary. One of the most accessible tools on the site is the video “Real Estate, Safety, and You,” through which consumers can learn about the safety protocols they may encounter when working with an agent. We take vaccines for granted. We get our shots as kids and forget about the process until we have children of our own. In the Western Hemisphere, we generally don’t see the diseases that plague the Third World. We call them preventable. A hundred years ago, the science of immunology was struggling, and so were its advocates. Just before Dr. Richard Slee was born in 1867, the French biologist Louis Pasteur had proven the germ theory of disease. It wasn’t until 1885 that Pasteur field tested his vaccine for rabies. Twelve years later, when Slee built his laboratory to manufacture smallpox vaccine in Swiftwater, Pennsylvania, the disease was still considered a major threat to public health. It would not be eradicated worldwide until 1980. To complicate the issue, the technology of the time caused some of those patients to become ill. Because of those adverse reactions, vaccines of the time stimulated fear as well as immunity. In Minnesota, 73 cases of measles have been confirmed this year, three more than the total for the entire country last year, according to data from the U.S. Centers for Disease Control and Prevention and the Minnesota Department of Health. The CDC and the World Health Organization also are concerned with the rise in the number of cases of mumps, polio, rubella, whooping cough and other vaccine-preventable diseases. How did Dr. Slee manage to eradicate smallpox in America? And how has the science of infectious-disease prevention progressed over the last century? Now, if you’re really ready for a Horatio Alger story with a medical spin, take a look at One in a Million by Mary G. Clark. In this ghosted memoir, Mary tells the story of how she took her wound-care company from the coal fields of Scranton, Pa. to the NASDAQ. The book starts with a touch of mysticism and ends with science, a fitting story for our times. In another effort to challenge traditional publishers, Amazon has announced a program to test and market e-books before they’re published. Called Kindle Scout, the program allows authors to place their unpublished work before a focus group of readers. If they like your book, Amazon may offer an advance and royalties through a five-year contract. It’s crowd-sourcing for the unpublished author. And the key word here is unpublished. Only e-books that have not seen publication in any form except blog posts are eligible for Kindle Scout. Authors thinking about selling their e-books through competing channels such as iBooks and Barnes & Noble’s NOOK should read the fine print. Kindle Press acquires worldwide publication rights for e-book and audio formats in all languages. The e-book is automatically enrolled in Kindle Unlimited and the Kindle Owners’ Lending Library. On the plus side, giving away a previously unpublished e-book enrolls the author in Amazon’s marketing program. Amazon is looking for e-books in these categories: Romance, Mystery & Thriller, Science Fiction & Fantasy, and Literature & Fiction. Action & Adventure, Contemporary Fiction, and Historical Fiction will be accepted within the Literature & Fiction category. To apply for the program, the author must be 18 or older with a valid U.S. bank account and a U.S. Social Security number or tax identification number. Should you jump in? Only with eyes open. You can review the Kindle Scout guidelines here. When I pitched a review of Peak Season to Bill Kline, he respectfully declined. Lehigh Valley Business, the journal in Bethlehem (Pennsylvania) he edits, doesn’t deal in fiction. But if I could find an except from the novel with a commercial theme, he’d run it. And he did. (Always a stickler for readability, the subheads are his.) You can view the excerpt as a PDF and, in three weeks, the original online. Bill and I go back. I worked with him when he served as copy chief of the Pocono Record in Stroudsburg, Pa. 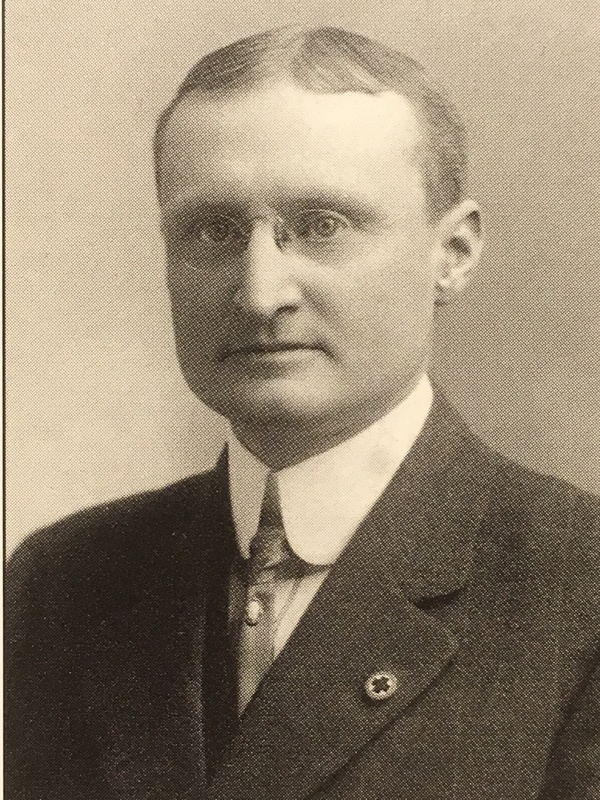 He created the paper’s first Sunday edition and made it a showcase. His content and design pushed the conservative newspaper into the modern world. During the early 2000, we both worked in the Valley. He served as a sports and Sunday editor at Allentown’s Morning Call while I worked in public relations for an agency in Bethlehem. LVB and I also go back. I wrote numerous articles for the publication when it was known as the Eastern Pennsylvania Business Journal. It’s now a diverse and colorful journal, online and off, led by an editor who isn’t afraid to stretch.